This tutorial will show you a simple example of cloning a Sims 3 object and replacing its mesh with one created in Blender 3D. You will learn the basics of mesh replacement with Blender, including creating a mesh, unwrapping, and UV mapping. This is for beginners. 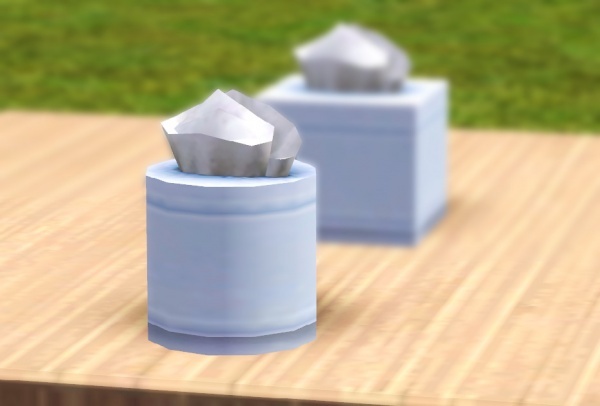 It is to be considered a introduction to using Blender for Sims 3 object creation. Although some basic Blender functionality will be covered, this is not a tutorial to teach how to use Blender. I suggest trying some of the many Blender tutorials to learn how to use Blender efficiently. I'll be more focused on using it for Sims 3. I strongly advise going through Setting Up Blender 2.5 for For Object Creation as I will be using this setup and it could get confusing if you don't. I also advise getting familiar with navigating in Blender. So, are you ready? Okay, let's get started! This page was last modified on 30 January 2019, at 17:19.